When searching for legal representation after an injury or accident in Carlsbad, California, contact the Law Offices of David Azizi today at 800-991-5292. He has 21 years of experience and can help you receive the maximum compensation for your injuries. Our law firm has helped clients receive over $50 million in the form of settlement checks. David Azizi has been practicing personal injury law since 1998. You can find his California Bar Number here. He has focused his efforts and practice on personal injury so his clients can be rest assured they are getting the proper attention for their case. 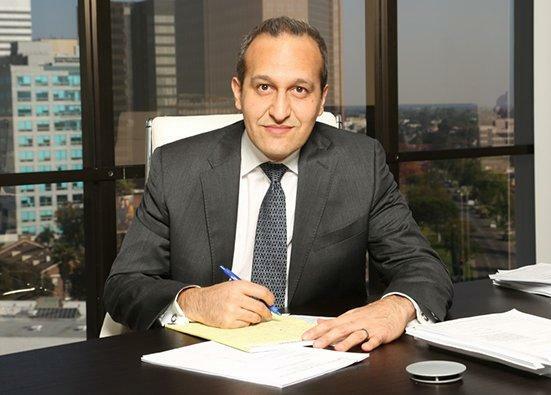 David Azizi does not take on criminal defense, DUI or family law cases. David takes the time to absorb changes to the law on a continuing basis, attending national conferences designed for this purpose. Knowing each intricate detail of legislation as it relates to legal matters is very important. David wants his clients to recover the money they deserve and focuses intently on that. Carlsbad, CA, is in San Diego County and is located just west of San Marcos and Escondido. Interstate 5 runs along the west part of Carlsbad meaning there are millions of miles driven in this city every single week. Some of the other highly trafficked roads and streets in Carlsbad are 511, 512, Cannon Road, 78 and College Boulevard. If you have been in a car accident and are seeking legal representation, reach out to us today. Our team of has helped hundreds of victims receive a settlement check for their pain and suffering, medical costs and loss of income. Premises liability cases, which inchttps://www.azizilawfirm.com/slip-and-fall-lawyer”>slip and fall and trip and fall accidents, are often overlooked by southern California law firms. At the Law Offices of David Azizi we that have helped clients receive over a total of $10 million for their injuries in slip and fall and trip and fall cases. When looking for a respected and experienced Carlsbad slip and fall lawyer, contact us today. You can call us at 800-991-5292 or you can use our contact us form. With Southern California being one of the most moderate climates in all of the United States, it comes as no surprise that millions of motorcycle owners look to get their time in on the open roads, including Interstate 5. With so many amazing sight lines and driving opportunities in southern California, a large number of motorcycle groups and travel clubs come to this area. Unfortunately, there are times in which motorcycle drivers get into accidents with big rig trucks or other large vehicles. If you have been injured in a motorcycle accident, and are looking for legal representation contact us today. Big rig truck accidents happen way too frequently. There are a number of large 18 wheeler accidents that are reported in Southern California every single day. Technology has assisted in reducing these accidents by placing a video camera in most big rig trucks. When drivers are being taped or watched they are much more likely to do less risky driving actions such as looking down at a smartphone or turning around to look at something behind the cab. If you have been injured in an accident of any kind that happened due to the negligence of others, call David today. He is available 24/7 and you can set up a case evaluation at your convenience by calling 800-991-5292. Don’t go it alone after an accident. Make sure you get the maximum compensation you can.